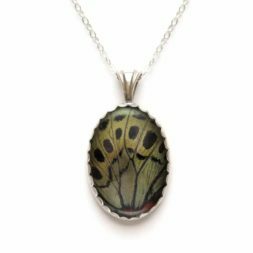 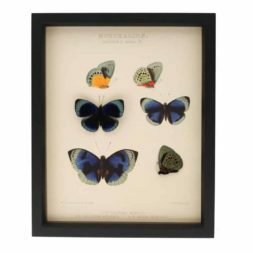 The Charles Darwin Butterfly is mounted with its underside showing in this shadowbox. 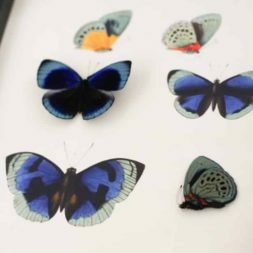 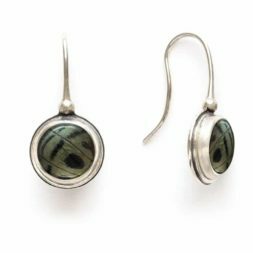 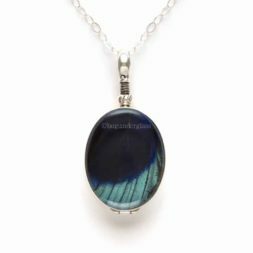 SPECIES: Callithea philotima (Charles Darwin Butterfly) from South America. 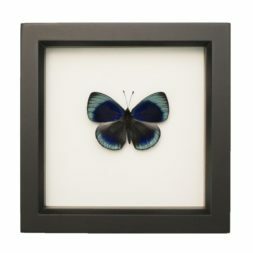 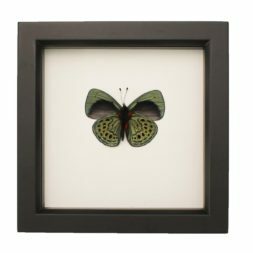 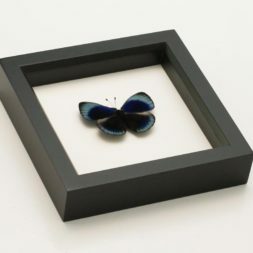 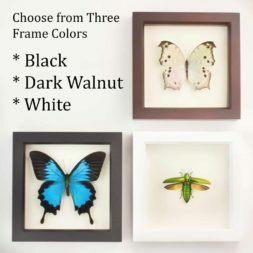 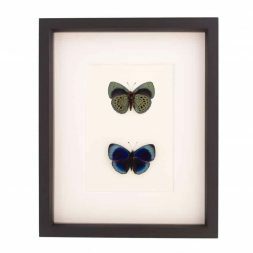 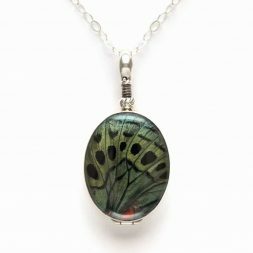 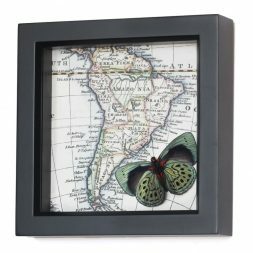 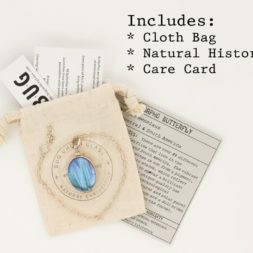 This framed butterfly display features the front and back of the Charles Darwin Butterfly, Darwin's favorite butterfly. 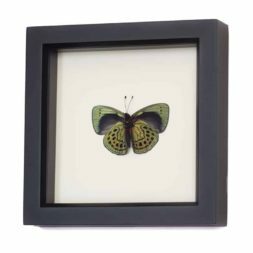 Framed with TWO real butterfly specimens this archival revision of a Charles Darwin butterfly victorian print. 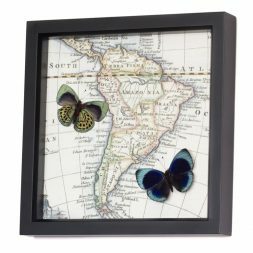 Charles Darwin's favorite butterflies are featured on this archival map reproduction of South America.